Miss Sen Revamped the Womens’ Image! 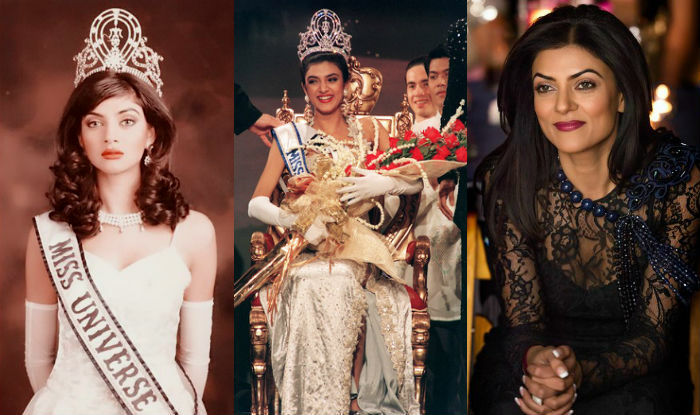 Sushmita Sen, we know her as the first lady of our country who won the ‘Miss Universe’ glory. She has been a marvelous actor, magnificent personality, staunched social worker and a quintessential single mother. She sets a true definition of contented single mother, by giving an ultimate example of her own. I have always idolized her since my teens when I saw her the very first time on the television winning Miss Universe pageant. I have always admired her finest performance in the movies like Aankhein, Chingari, and Filhaal. In spite of some of her films which didn’t work well on box office, her acting was astounding. She has won a number of awards. In the year 2000, she won the Filmfare, IIFA, Zee Cine and Star screen award for best-supporting actress in the film ‘Biwi no.1.’ Not only in reel life but in real life she has proved herself undaunted, exceptional and noteworthy. She has been awarded ‘Rajiv Gandhi Award’ in 2006. In 2013, she won ‘ Mother Teresa award’ for social justice. In 2016, she won the award for eternal beauty and the actress of decade ‘ India Leadership Conclave.’ Again in 2016, she won ‘GeoSpa AsiaSpa India Awards’ for the Woman of Substance Award. She has been nominated for various other prestigious awards also. Sometimes your words and most of the times your positive deeds can undergo a sea change. Sushmita Sen, a cheerful, buoyant lady with benevolent deeds have changed the image of a woman to an extent. She didn’t follow the pointless, redundant rules of the society. The very first was of her being a single mother. It is not necessary to get married to have the children, she has gloriously proved it. By adopting a female child she smacked on the faces of those who go for the gender determination test and if they confirmed with a female child they opt for an abortion. She graciously is upbringing her two girls with a charm that could be seen on her face. In her recent interview, she expressed her strong-willed thoughts which were noble to adopt in life for real. She said, “we don’t need to change the whole world but just one life.” A precise thought that can bring revolutionary changes if we just try to follow it. We don’t have to change a number of people but if in our one life we can bring a smile to a single face, if we can bring a felicity, an expression of beatitude, a cheerfulness, a hope, a little contentment to just one life, just know you have nailed it. Little changes can improve, modify and reshape the society. Thank you, Miss Sen, for stepping out of the blind throng, for fixing your own rules to rule over your own world, to show the real women empowerment.